Ad-Aware Free Antivirus + : Ad-Aware Free Antivirus + from Lavasoft provides core protection against internet threats. Featuring real-time antivirus and anti-spyware engines, rootkit protection, download protection and web filters for safe browsing, the product gives you the power to protect yourself online. 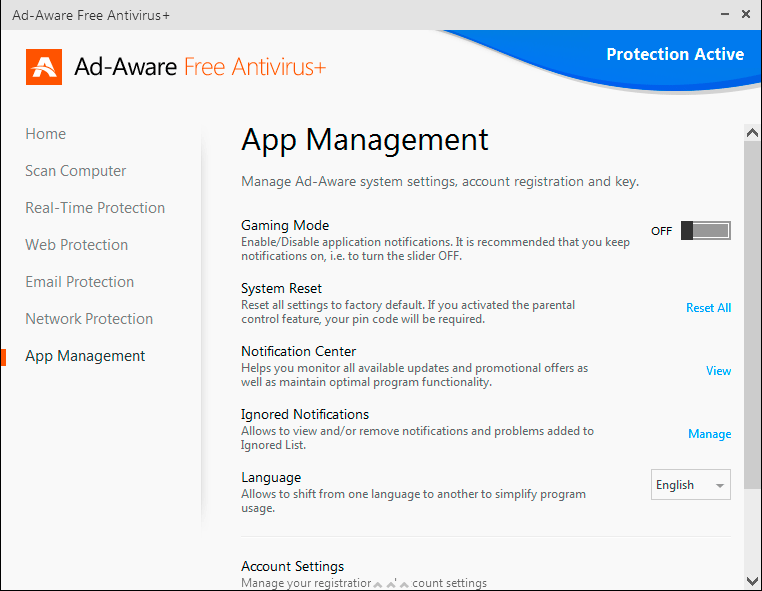 Ad-Aware Free Antivirus + provides complete anti-malware protection, combining Lavasoft's pioneer technology for anti-spyware with traditional antivirus protection.